Eight years ago, Sarah Winch’s husband Lincoln received shattering news – late-stage liver cancer at 48. With a long background in end-of-life care, she was better-prepared than most for the road ahead. 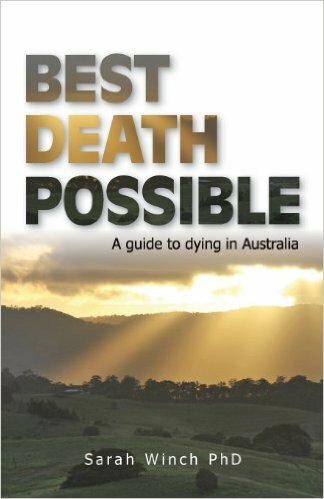 Eight years later, she’s the author of Best Death Possible and facilitator of Brisbane’s Death Cafe this Sunday at Metro Arts – bringing people together for honest, open conversation about death. I meet Sarah Winch in a sunny corner of West End staple The Three Monkeys. For the next hour, she will be my guide through the world of death literacy. She sips a milkshake and hands me a copy of her book Best Death Possible. Lincoln chose not to undergo treatment, but to spend his last four months amongst nature, and with friends and family. “He wanted it very low-key,” she says. After Lincoln’s death, Sarah and her friends formed the Lincoln Winch Institute for Healthcare Ethics, devoted to improving the death literacy of Australians. She also teaches ethics and law to healthcare students at the University of Queensland. In Victorian times, people traditionally died in the home, but with advances in medical care, patients often die in a hospital bed, sometimes after months of treatment. As in many Western countries, Australians lead privileged lives, and don’t think about – or talk about death until they’re faced with it head-on. We should all write wills, but who wants to think about that? “Some people just can’t face it, and say “I’ll just leave it for the next person after me.”” she says. We discuss the industry built around death, and the thousands – often into the tens of thousands – it can set families back to bury their loved ones, these days driving a movement for community-based “green funerals”. I suggest that this could be part of a motion towards a more secular way of dealing with death, as society moves away from organised religion, and she agrees vehemently. 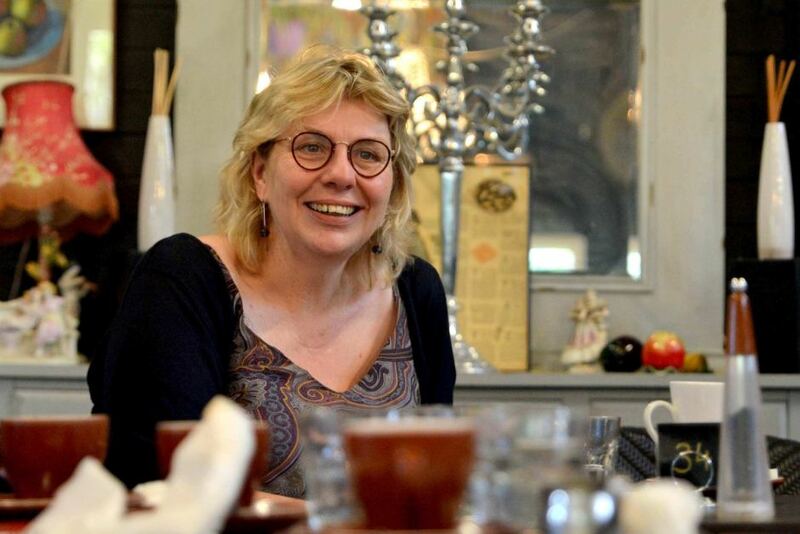 Death Cafes are run to encourage free-form discussion about death over coffee and cake. Sarah usually starts things off by talking about her own experience, alongside her co-convenor, Hummingbird House’s Fiona Hawthorne, while people may share one at a time or move off into small groups.Â Sarah advises me that they are not, however, a place for those who are still grieving from recent loss. “There’s a sense of biographical death which we don’t acknowledge very well at all,” Sarah says. Someone had posted about David Bowie’s death on the Death Cafe Facebook event, and we talk of how he produced one of his greatest creative works while, like Lincoln, living out his last days with cancer. I asked Sarah what she’s found people were least prepared for throughout the process of death. Most of us, when faced with death, want to go out with as little pain as possible, either in their sleep or at home, surrounded by their loved ones. As Sarah says from experience, however, it’s not always that simple. “It must be so terrible to have an end-of life diagnosis and then be so full of fear that you don’t enjoy the last few months of your life,” she says. Though it was obviously difficult to harness such a painful time into a book, Sarah says there’s been massive interest in her book, the first of its kind – currently out of print due to limited availability. She says the language people use to describe cancer can also be “hugely problematic.”, referring to “fighters”, and “survivors”. Sarah’s work in encouraging free-form conversation on death and dying is boundless. Further down the track this year, the Death Cafe format will be expanded into Australia’s first Death Festival at Metro Arts, which Sarah talks about eagerly. “It’s going to be amazing – we’ve talked to Jo Thomas from Metro Arts, who’ll be producing it.” On the menu will be circuses, art, music – several Death Cafe, and a Before I Die wall, where patrons can display their wishes. With Death Cafes occurring worldwide, and more and more regularly in Brisbane, Best Death Possible is a big part of an important shift in how we talk about death, and Sarah a wise and helpful voice for those faced with sudden bad news.